Mewtwo – the psychic legendary Pokemon. Charizard – the final evolution of charmander. Red battles against the legendary,Mewtwo. his Pokemon have very little succeeds , even his Articuno fails. Charizard, manages to put up a good fight. Red attempts to capture Mewtwo with an Ultra Ball, but Mewtwo breaks out. Mewtwo flings Charizard and Red into the water, suddenly Charizard begins to glow, and so do the Mega Stones. Charizard to Mega Evolves and gains offensive power, he unleashes a devastating Mega Punch knocking Mewtwo into a nearby column, allowing Red to catch it. 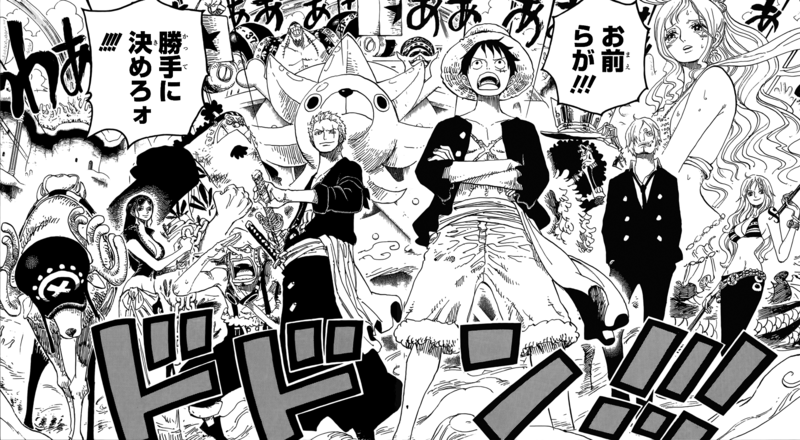 Straw Hat Crew – Monkey D. Luffy’s pirate crew. Hody Jones pirates – The crew of fish-man pirate Hody Jones. Each member of the Straw Hat Crew, battles against a member of the Hody Jones pirates. Luffy attacks Hody and sends him flying into the ship, Noah. Luffy activates his Gear Third. Hody uses the water in the ship to sending shark shaped water bullets towards Luffy. he dodges them and crushes Hody with “Gum Gum Elephant Gun”. Brook battles against Zeo, Zoro faces Hyouzou. Franky ends his battle with Ikaros Much with his “giant attack” . 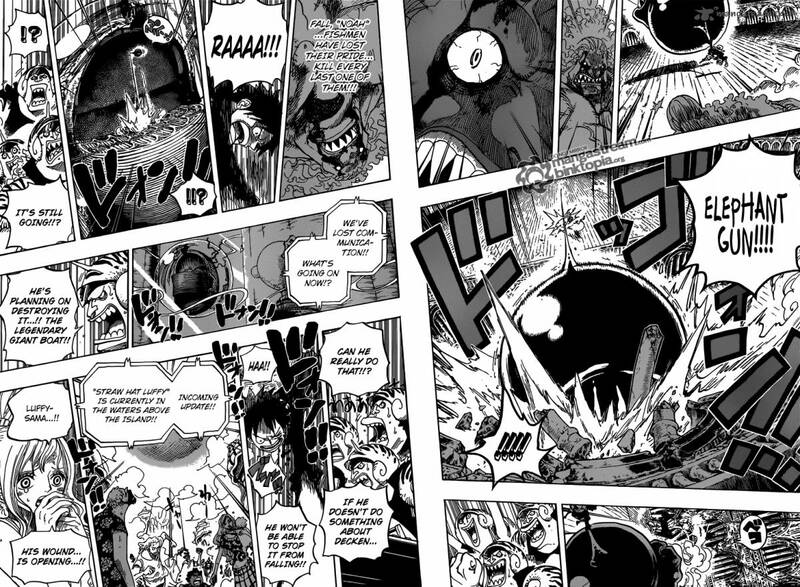 Usopp calls “Humandrake” to attack Daruma, then he calls “Trampolia”. Hyouzou tries to attack Zoro from behind. Sanji, Jinbe, fight the massive Wadatsumi, Wadatsumi plans to “flatten” the plaza. Brook moves behind Zeo, and is defeated by Brook’s ice sword. 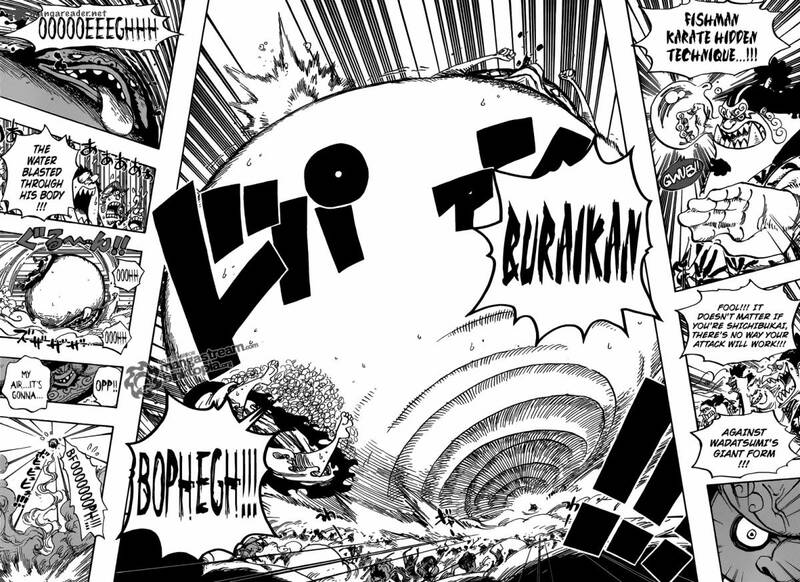 Usopp knocks Daruma with a shock wave. Chopper uses his strength to win his battle, while Franky roasts Ikaros with a laser beam. Jinbe uses his fish man karate against Wadatsumi, his attack travels through Wadatsumi and sends him airborne. Sanji uses fire kicks to set him ablaze. Zoro uses his new “Onigiri” move on Hyouzou defeating him, ending the battle against the Hody pirates. Genkai – a psychic that trains Yusuke. Shishiwakamaru – is a demon. Shishi battles against a weaken Genkai, Shishi uses the “chorus of a thousand souls” killing many in the audience. Genkai quickly evaded this technique, enraging Shishi. 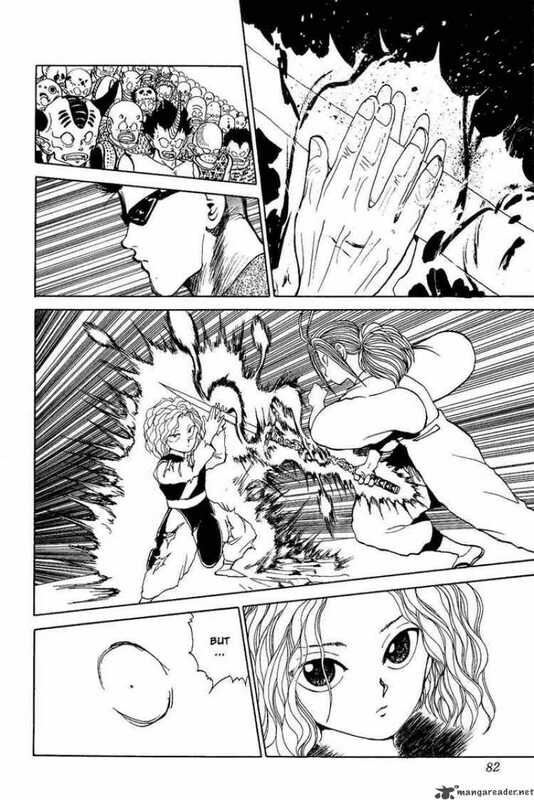 Shishi fails to kill her, due to Genkai reflectshis energy back at him. Genkai easily overpowers him, steal most of his energy and using it to power her “Spirit Reflection Blast“. Unohana – former Captain of the division of the Gotei 13. Kenpachi – Captain of the 11th division of the Gotei 13. 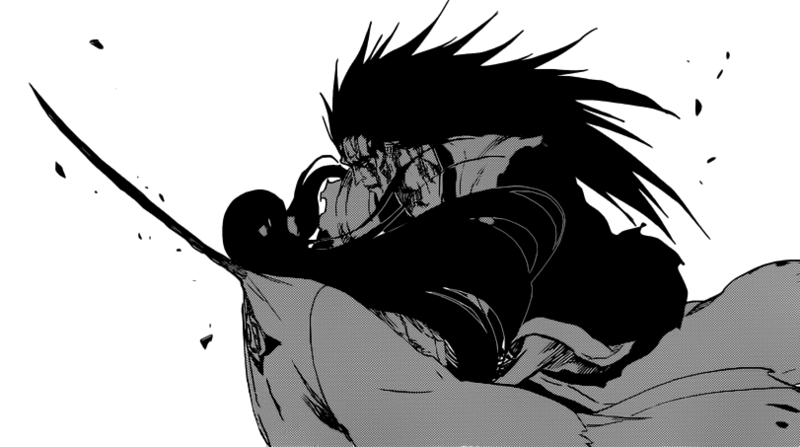 Unohana lands a series of direct hits on Kenpachi. 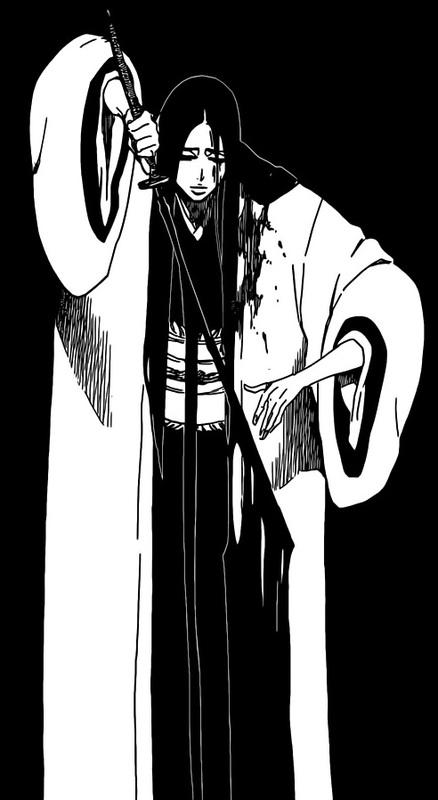 Unohana, dominates the early stages of the fight with unhindered brutality. She say’s that Kenpachi is smart for removing his eye-patch prior to the battle. 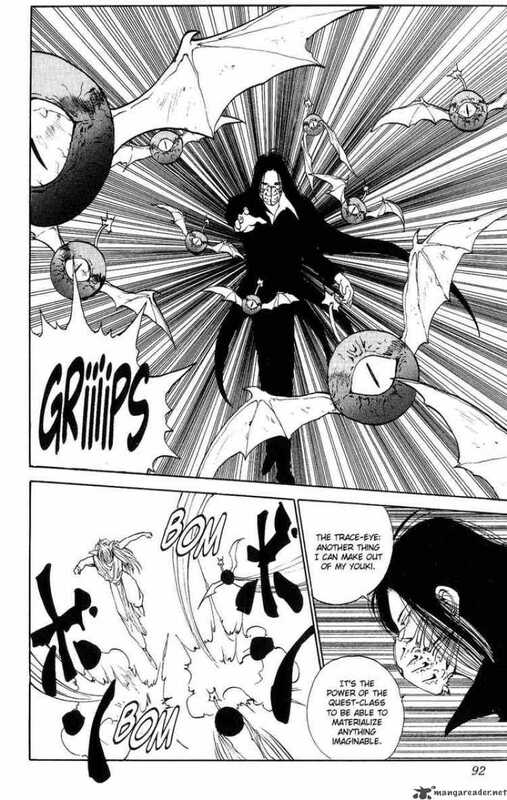 Unohana, call out Kenpachi’s fighting style calling it lazy. She’s unimpressive by his strength claiming that Kenpachi is, weak. She pins him against another rock wall shedding a tear, Kenpachi asks “if he is about to die a miserable death without ever having defeated her”. Unohana, stabs him through his throat, and he appears to lose consciousness. He regains consciousness, going through a cycle of blacking out then regain consciousness. Each time this occurs he regains some of his previous skill. Seeing that he finally is reaching his true potential, she announces that “playtime is over” and uses Bankai. Both combatants are loving this battle,but Kenpachi finally lands the death blow. Before dying Unohana states that “Kenpachi was the only man in the world who could make her happy”. Ryuko – the main protagonist of the Kill La Kill series. Satsuki – The main antagonist of the Kill La Kill series. 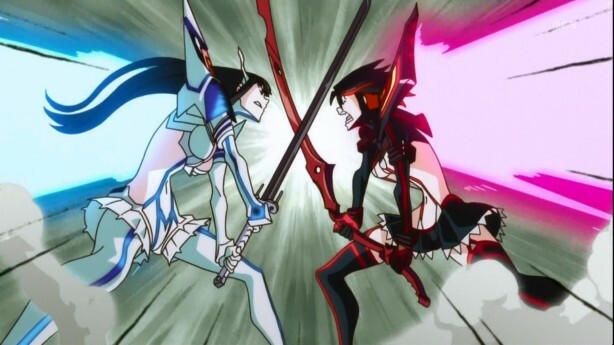 Ryuko and Satsuki, square off for the first time. Satsuki is wearing her very own, Kamui. Sengetsu, tells Ryuko that Satsuki is more powerful than she is. Its clear from the onset that this is true. Satsuki releases a devastating wind that impresses even Ryuko. 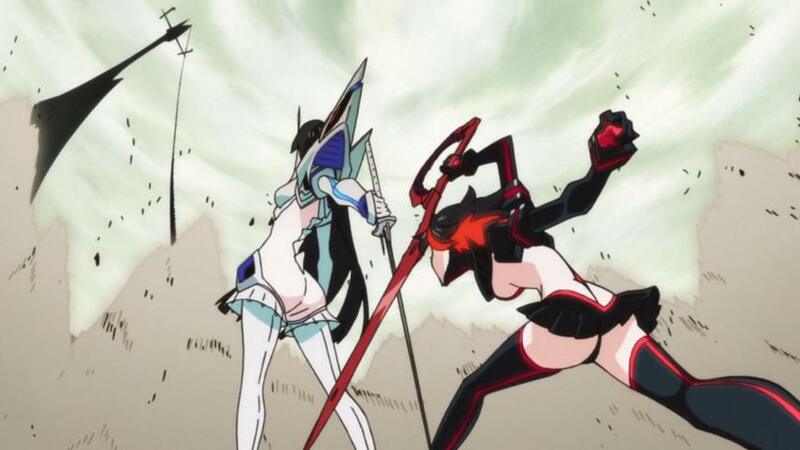 Ryuko clashes swords with Satsuki, she fails to scratch her but Satsuki lands several shallow cuts on Ryuko. Satsuki simply taps Ryuko on her Kamui and sends her flying into a building. Ryuko finally comes to understand that she must embrace her Kamui’s reveal aspects, becoming one with it. She fights Satsuki on more equal terms after that. She introduces her “Scissor Blade: Decapitation Mode”, destroying the surrounding area with one slash. They continue to destroy the surrounding environment until Satsuki ends the battle without a conclusion. B attacks Kisame, but Samehada absorbs his chakra and grows stronger. 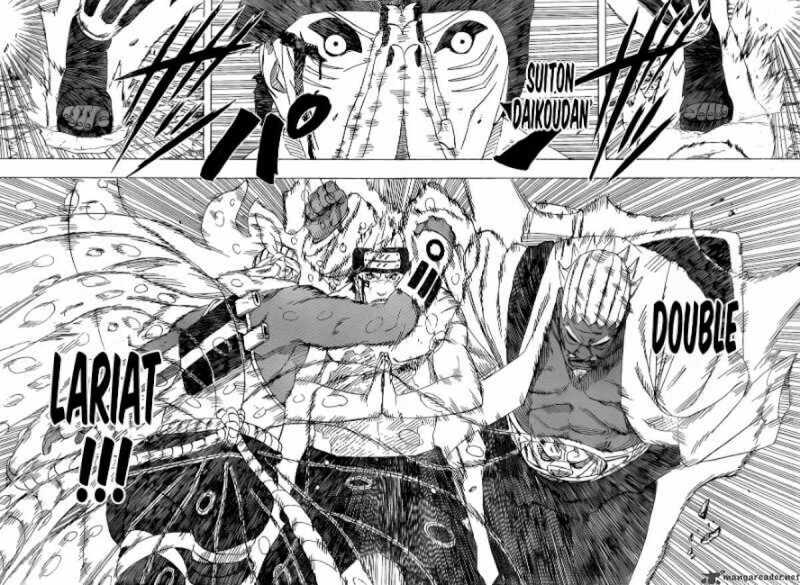 He decides to use the “Eight-Tails’ chakra”, and succeeds in landing a brutal hit on Kisame. Kisame fuses with Samehada restoring his body to its original state. More agile underwater, Kisame creates a massive water dome. B has limitations underwater , so he tries to escape. B becomes exhausted and Kisame tries to cut off B limbs. However, Samehada has “grown fond of B’s chakra”, and protects him instead. B’s brother Raikage arrives and together they decapitate Kisame, ending the battle. Kurama – one of the main protagonist in the Yu Yu Hakusho series. Karasu – member of team Toguro. 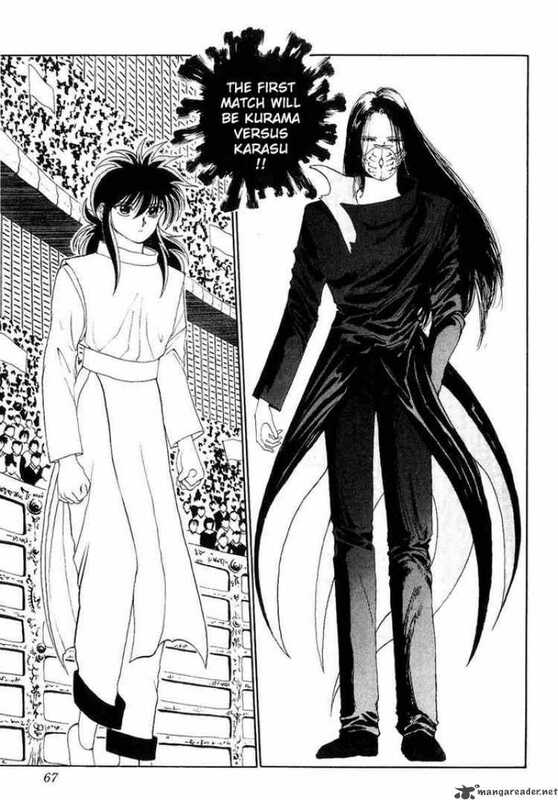 Karasu and Kurama fight in the first battle of the finals. Karasu quickly gains the upper hand, easily destroying Kurama’s petals. He reveals that how his powers work. He creates”demon shaped dynamite sticks”. 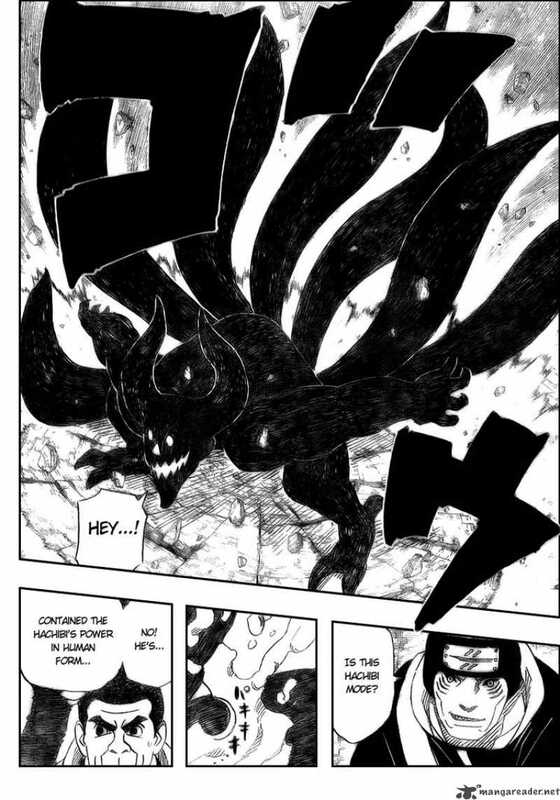 Kurama stabs Karasu in the right hand. Kurama transforms into his Yoko form. Karasu creates” a swarm of Trace Eye Bombs”, Yoko avoids them but is surround . Yoko releases a “Ojigi Plant”, this plant destroys the bombs then attacks Karasu. He gets “caught and swallowed up by several of the plant’s leaves” , Karasu’s mask falls off int the process. He emerges from the plant having turned his own body into an explosive. Kurama reverts back to his original state. 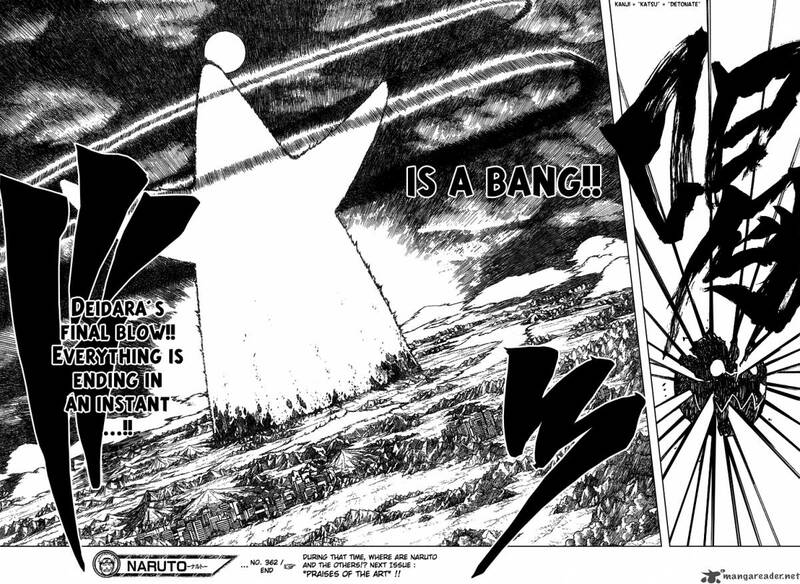 Kurama appears to become erratic and begin to attack senselessly. He plants a seed into Karasu’s chest, Kurama releases a “vampire tree” that kills Karasu. Sasuke – one of the last members of the Uchiha Clan. The 5 Kage – the strongest five shinobi in their respective villages. Sasuke and his team are aiming to kill Danzo. He is stopped by the Raikage, A. A’s strength is greater than the cocky Sasuke could have imagined. He snaps Suigetsu’s sword, and defeats Jugo rather easily. A is capable of countering Chidori, so Sasuke activated his “Mangekyo Sharingan”. A sacrifices his arm trying to hammer through Sasuke’s defenses. Gaara intervenes trying to determine if Sasuke can be redeemed. Sasuke cut several columns, causing the room to collapse. 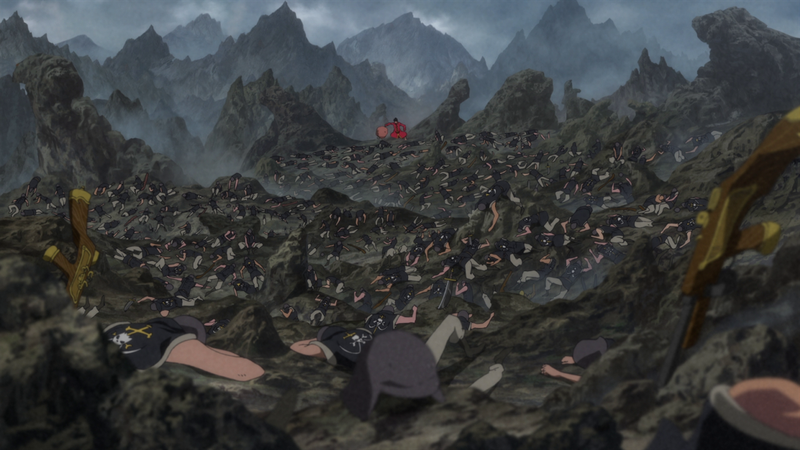 Sasuke, abandons his comrades in search for Danzo. Danzo escapes but before Sasuke can chase him the Mizukage, Terumī blocks his path with “Lava Release”. Her “acidic mist” almost kills Sasuke but Zetsu aids him. Onoki the Tsuchikage, uses his “Dust Release” on Sasuke but he’s again save this time by Tobi. The Straw Hat Pirates – the pirate crew of Monkey D. Luffy. Neo Marines – the marines that are under the command of Z. 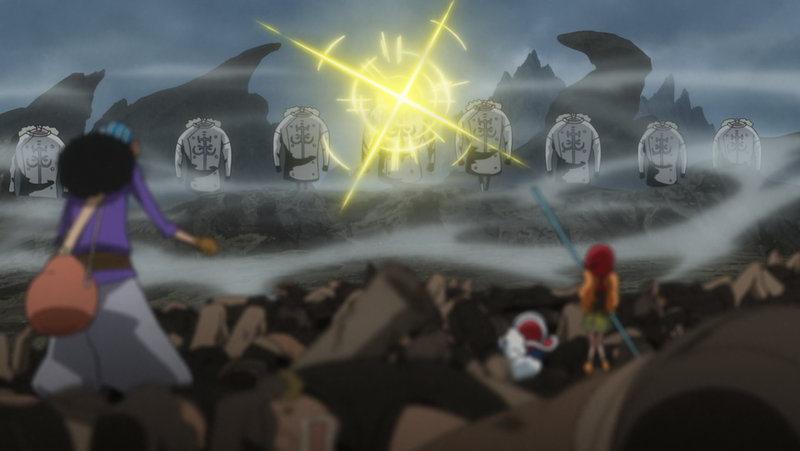 The Straw Hats face off against Neo Marines.They begin using their various skills to fight. Chopper uses his “Guard Point”, shooting many rifles by himself. Zoro fights with Ain, as she aims to protect Z. Sanji fights with Binz, Luffy easily dispatches a group of Neo Marines. He, dodges multiple shots as he looks for Z. Zoro and Ains battle, nut she is clearly out matched. Sanji lands many hard kicks on Binz. Robin uses her “Gigantesco Mano” move, crushing many enemies with giant legs. Brook utilizes his “Soul Solid”, paralyzing many soldiers. Chopper transforms into his new “Kung-Fu point”, and defeats several soldiers. Usopp uses “Hissatsu Midori Bosshi”, raising sharp bamboo from the ground. Nami summons a “lightning storm” on the striking everyone including her fellow straw hats. An army of “Pacifista” arrive and begin attacking. 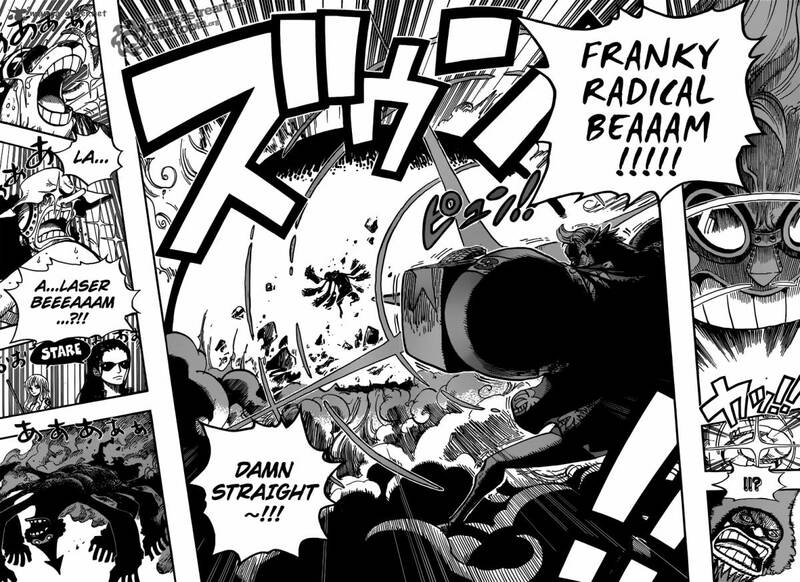 Franky shows up an obliterates them with his “Radical Beam”. Sasuke – one of the main characters from Naruto. Diedara – a former member of the Akatsuki. Sasuke, attacks Deidara and Tobi and Deidara notes how fast he is. Although makes a clean strike through Tobi, but misses Deidara. Tobi is unaffected, and Deidara counters with his clay explosives. 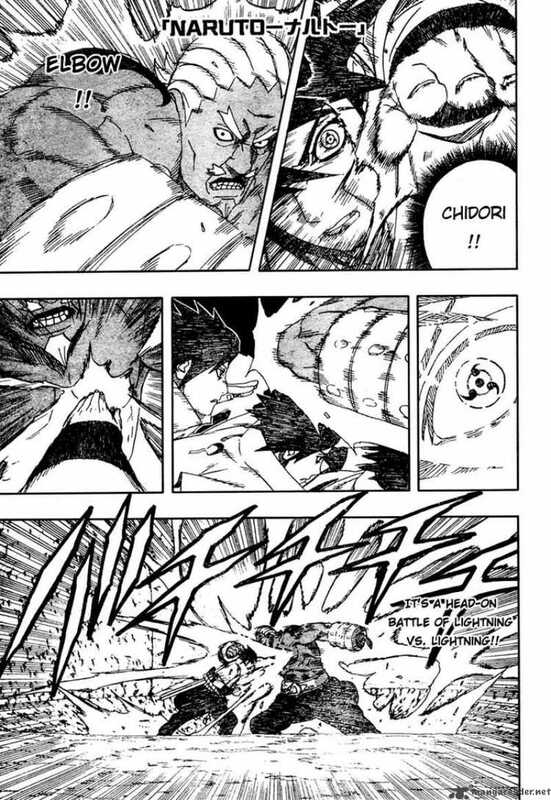 Sasuke uses “Chidori Senbon”, to diffuse them. Deidara uses his C2 dragon and creates smaller explosives that Tobi hides underground. 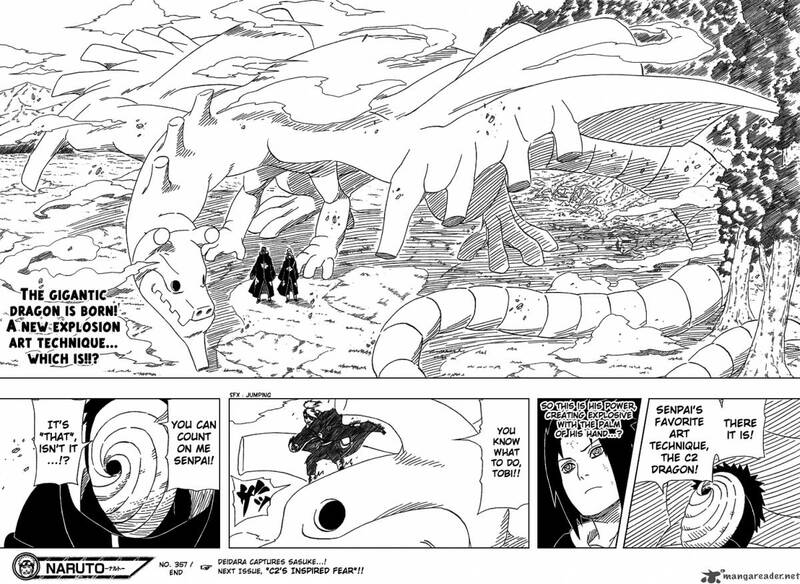 Sasuke can’t destroy the dragon as it’s out of range. He’s, forcing into activating his level two cursed seal. Sasuke manages cut off one of the dragon’s wings, which falls to the ground destroying itself and the explosive underground. Sasuke and Deidara both survive the explosions. Deidara is reminded how he was recruited into the Akatsuki. Itachi, humiliated him with his Sharingan. Resulting in Deidara hating the Uchiha, he uses his C4 explosive by eating his clay. When C4 explodes microscopic bombs are released into the atmosphere, whatever inhales them disintegrates. 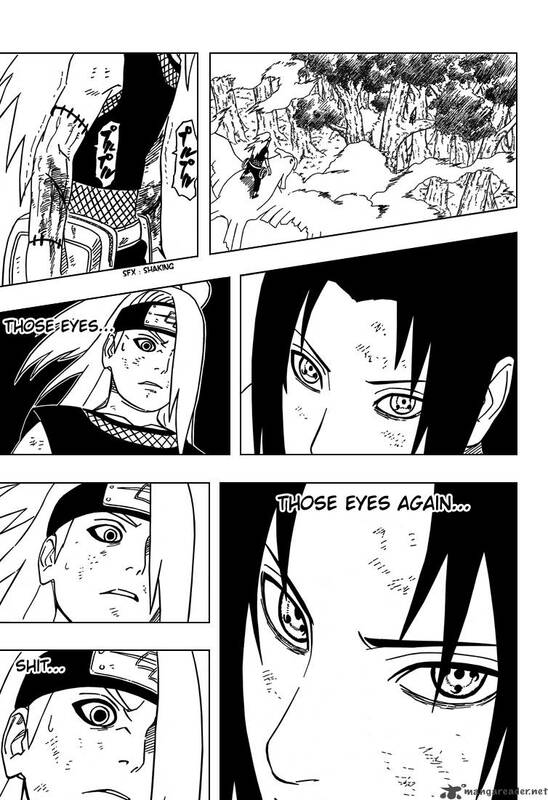 Sasuke uses his Sharingan to make it appear that he died, but when he thinks he won Deidara becomes a clay clone. 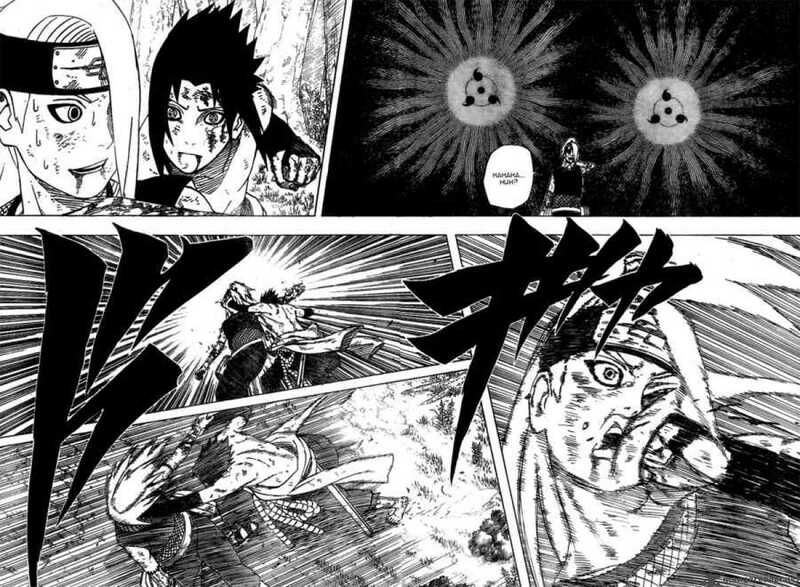 Deidara traps him within a clay clone, but Sasuke nullifies the explosives like before. Deidara can’t accept that he was defeated, he commits suicide by blowing himself up but Sasuke survives.